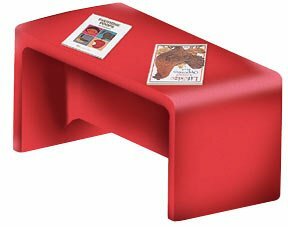 Use our indoor/outdoor molded polyethylene Adapta-Bench® as a rectangular play table, 2 seat sofa with reversible 7" and 9" seats, or as a 15"h bench for adult seating. Bench arms are safety radiused. 15"sq. x 30"l.
If you have any questions about this product by CutieBeauty, contact us by completing and submitting the form below. If you are looking for a specif part number, please include it with your message.